John Hartwell Cocke | Merkel & Cocke, P.A. 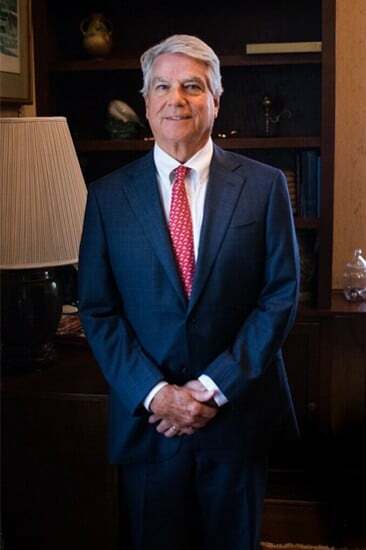 After graduating from the University of Virginia Law School in 1975, Mr. Cocke moved to Clarksdale, MS to begin practicing in a general litigation firm. In 1982, Mr. Cocke and Mr. Merkel left that firm and established Merkel & Cocke, P.A., and since that time the emphasis of Mr. Cocke’s practice has progressed more and more toward medical malpractice. At the present time his practice is exclusively devoted to handling medical negligence cases for the plaintiff, either as a result of direct contact by the client or as, more commonly occurs, on referral from other attorneys who are not familiar with the handling of medical negligence cases. Mr. Cocke handles all types of medical negligence cases, but a uniform requirement is that serious injury or death have occurred as a result of the medical mistake. Mr. Cocke has established a reputation for complex cases involving babies who sustain permanent brain injuries. He also handles cases involving deaths as a result of the failure to treat in the emergency room setting and the premature discharge of patients after surgery, as well as failure to promptly diagnose cancer. Mr. Cocke has developed a particular interest in the use of modern technology in medical negligence cases and has spoken at seminars on this subject. The Internet has developed into a very useful tool in conducting medical research and communicating with other attorneys handling similar cases via the Internet is also a major help in the handling of medical cases. Mr. Cocke was selected Best Lawyer of the year for 2012 and 2014 in The Memphis area in the field of Medical Malpractice and has been selected a Best Lawyer and Super Lawyer every year since 2006. Mr. Cocke has his pilot’s license, and enjoys flying his airplane for work-related matters and for fun. He owns Yazoo Pass restaurant in Clarksdale, and enjoys being involved in that venture. He is an avid promoter of blues tourism in Clarksdale.